No fuss desserts? My favorite! That doesn’t mean I do not like to spend much time in the kitchen – I just don’t like to complicate. Sometimes I really want to do a cake for which I need a day and half time – but very rarely. When I got the blueberries, I immediately started thinking what to do with them. Cheesecake? I really don’t feel like crumbling biscuits … Blueberry pie? I just did a pie the other day … Muffins? 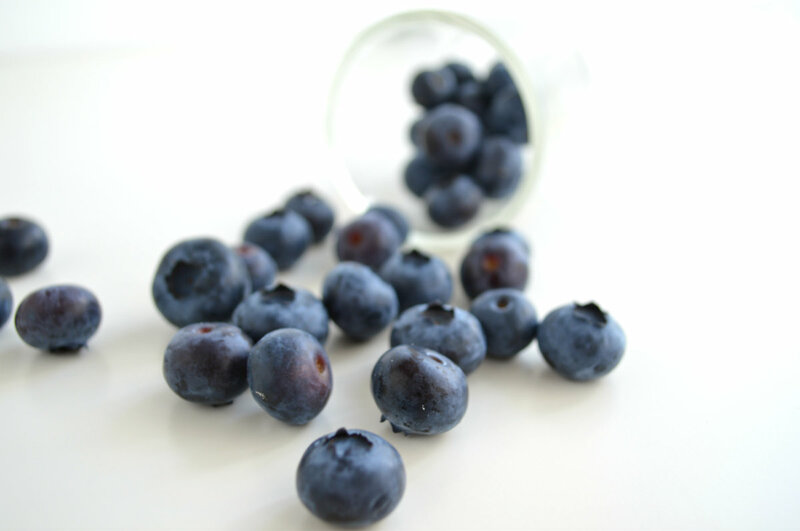 Maybe next time … I need something simple, fresh, that will really highlight the flavor of blueberries. Some of them are definitely going in the morning smoothies. Part of them I’ll eat while watching television. And the rest? Well actually I knew immediately – a combination of fresh cheese and hazelnuts must work! 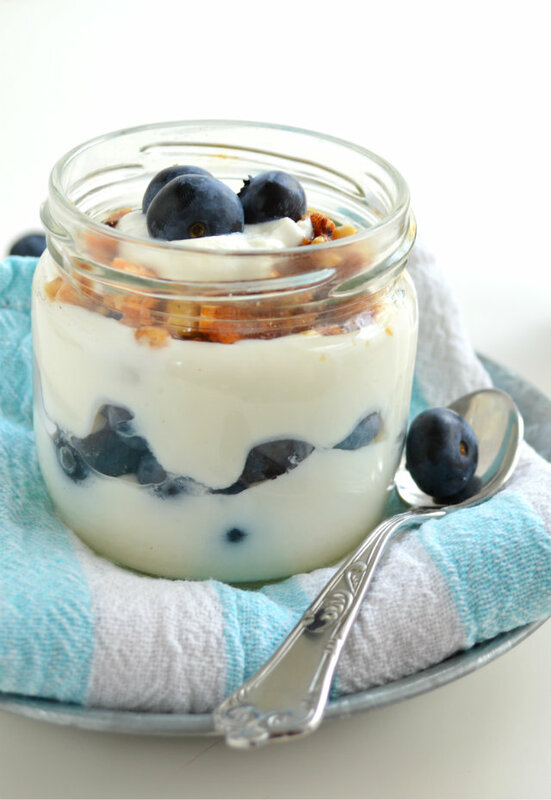 A ricotta cream complemented with caramelized hazelnuts and fresh blueberries. Fast, easy, decorative, and, most importantly, very very tasty. Mix the cheese, milk, agave and vanilla. Fry the nuts briefly in a dry pan, then transfer to a cloth and rub off as many flakes as possible. Cut them into small pieces or beat with a meat mallet over the cloth. In a bowl, heat the sugar over low heat until melted and browned. Stir in chopped hazelnuts. Pour the mixture on a baking sheet, spread in a thin layer and allow to squeeze. When squeezed, through another paper beat the nuts with a meat mallet to get small pieces - or just use a knife. 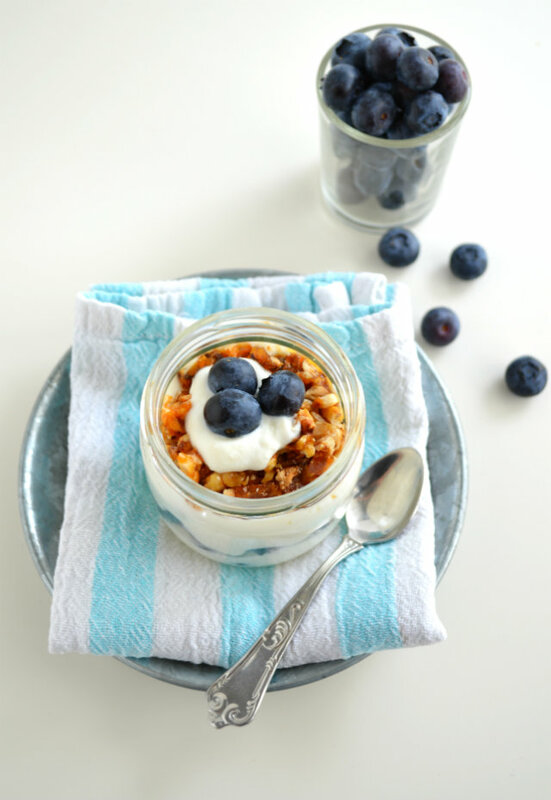 Arrange the desset: Put some cream in a small bowl or glass and cover with blueberriesThen add cream again and finally sprinkle with hazelnuts and add a few more blueberries. Bon appetit!